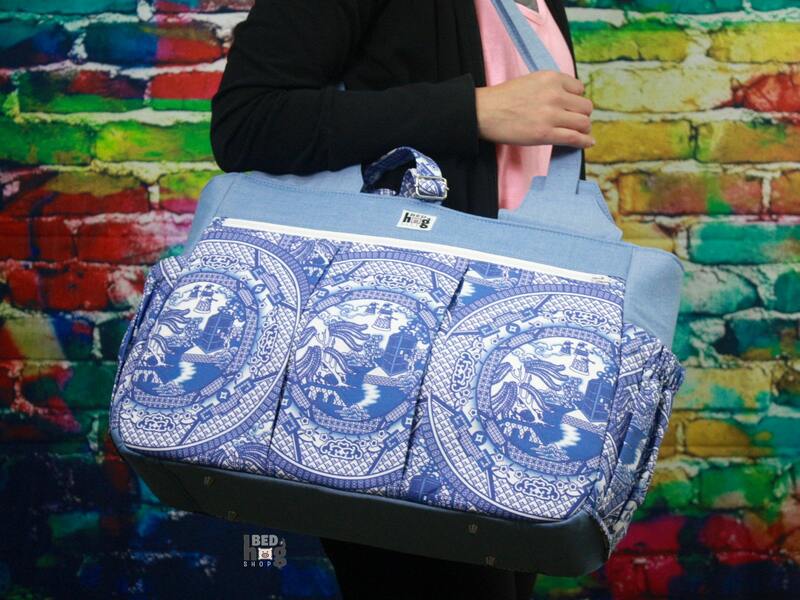 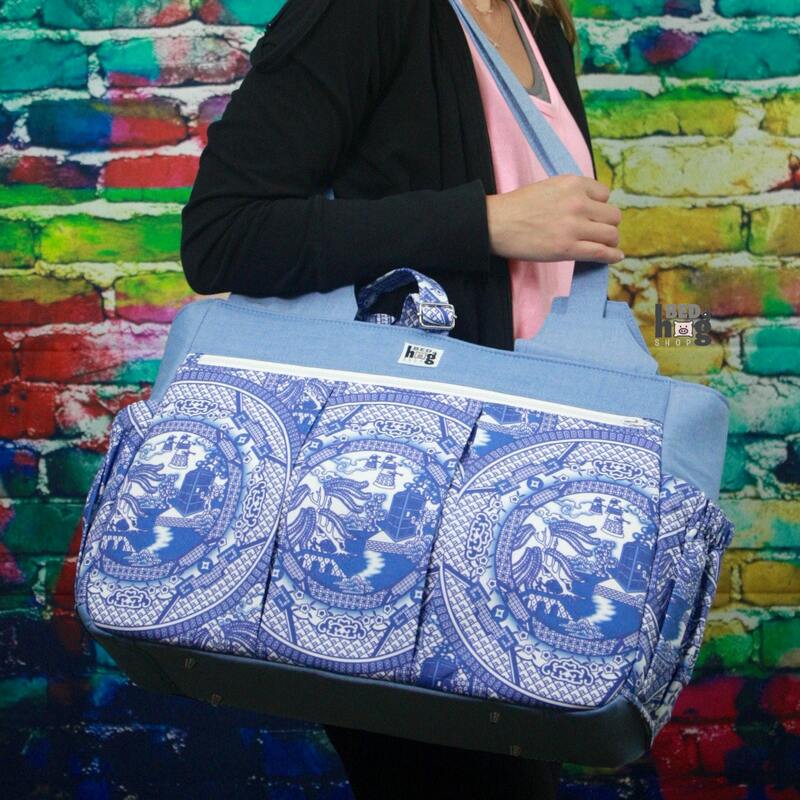 This bag is perfect for use as a diaper bag or a gym bag in addition to several other purposes. 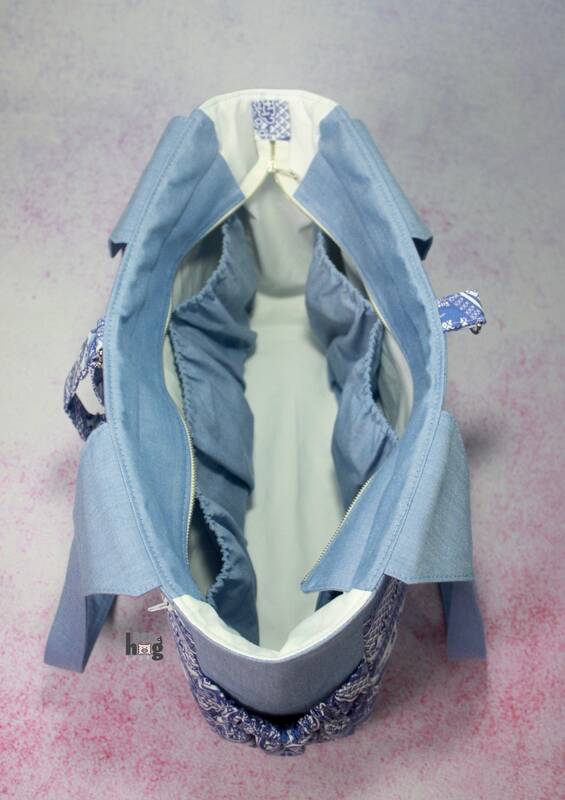 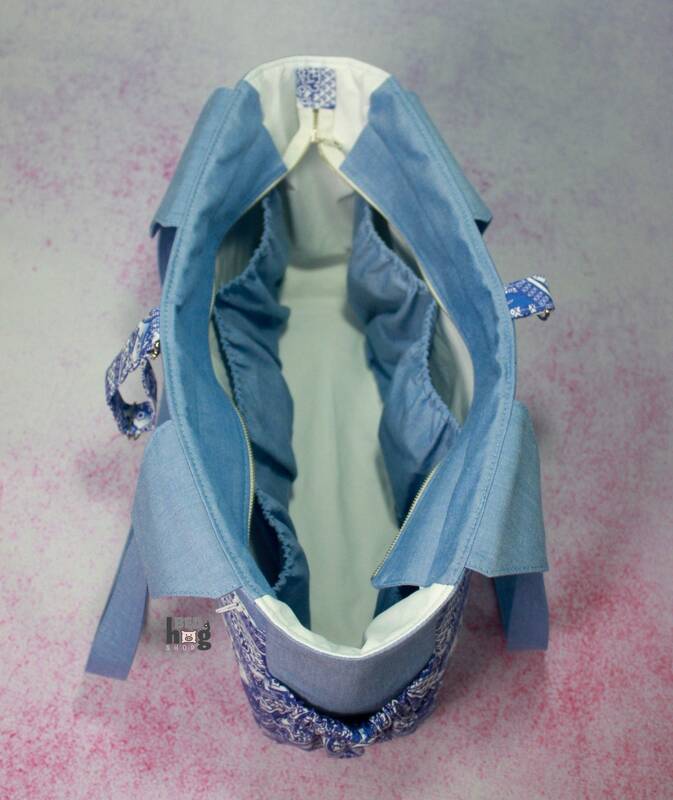 There is an exterior front pleated zipper pocket lined with white fabric, two exterior pleated and gathered side pockets and 6 interior gathered zipper pockets as well as plenty of room for other gear. 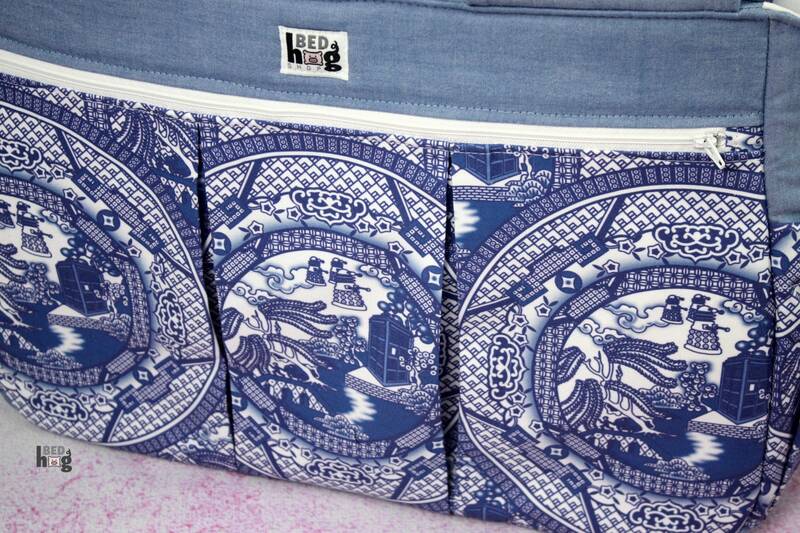 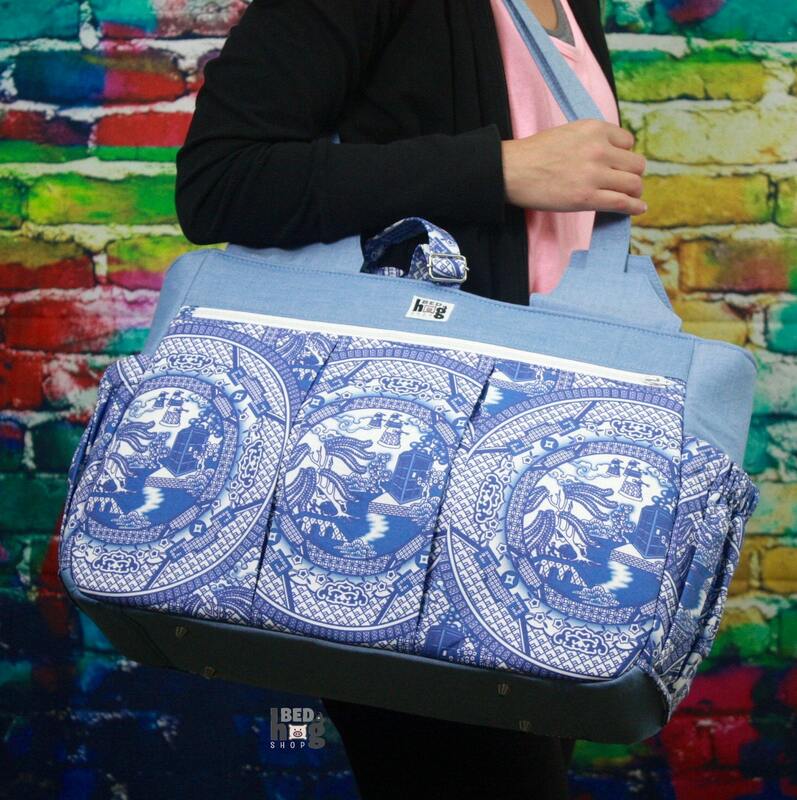 This bag is made from Spoonflower print fabric, chambray, and Kona cotton with a recessed top zipper panel, and 4 purse feet. 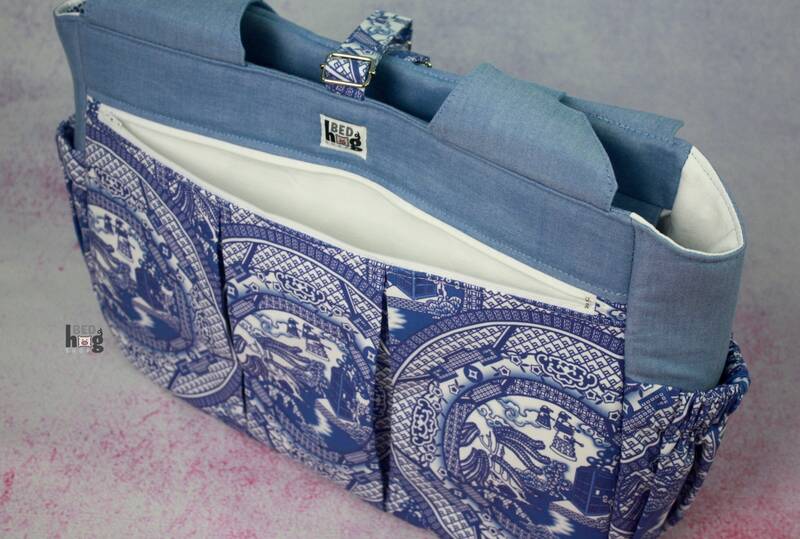 Adjustable top clip strap to hold a yoga mat or large blanket.